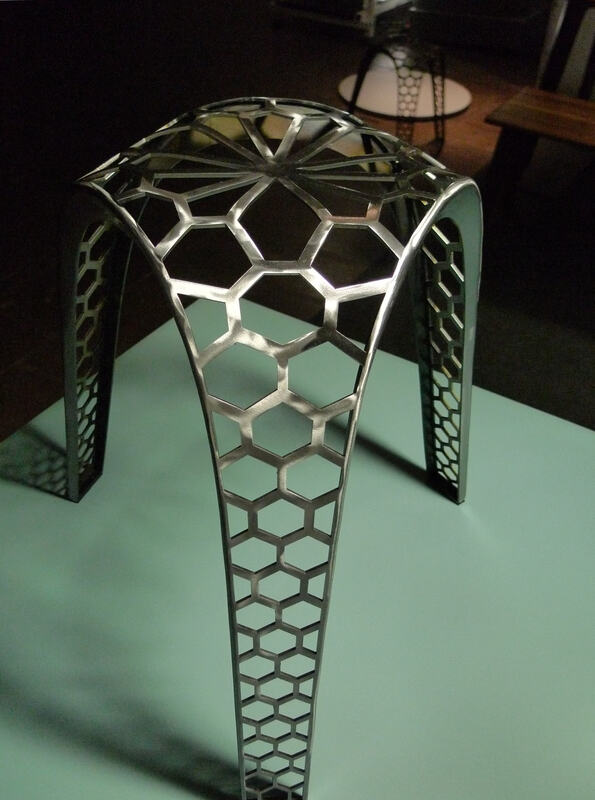 The Honeycomb stool was derived from a 3D-printed stool WoWt designed with Iris Megens. 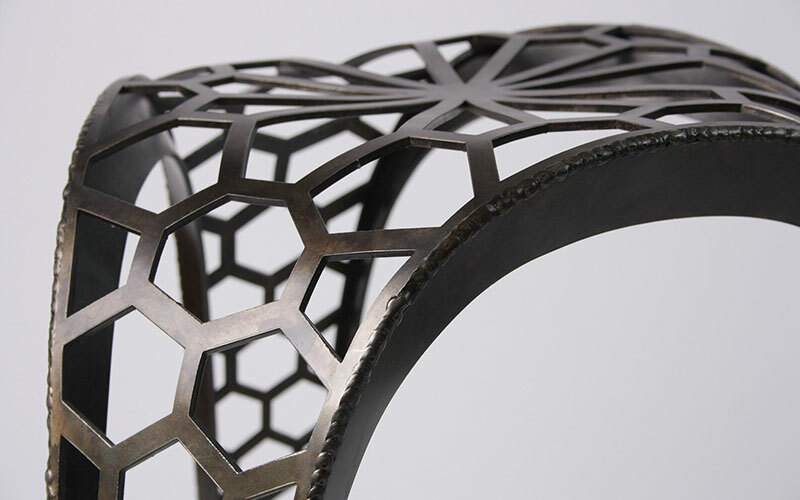 The pattern is inspired by the internal structure of 3D-prints in perfect harmony with the parabolic legs giving robustly welded stool a delicate appearance. The stool comes in a bronze patina finished with several layers of honeybees wax or in a polished version finished with clear lacquer.